Bihar Government is going to implement new rule and regulation in the Bihar in the all the school, that teacher in the school who must be posses B.ed degree. Here on this website going to tell about the Admission in B.ed Course from the Patna University Patna. Aspirants who willing to get admission B.ed in PU need to crack Bihar Patna University B.ed entrance Test 2017. Before apply in the PU B.Ed or M.ed Course read all details of it. Below we have provided details through the links. Aspirants around the Bihar like to read from the Patna University and want to take the admission in Bachelor of Education degree. If anyone who wishes to take admission in B.ed 2 year course applies for the B.ed Admission Exam 2017 through the PU BEET 2017. Students can find completed details of Patna Univ B.Ed Application Form in the PDF format on the website of Patna University. 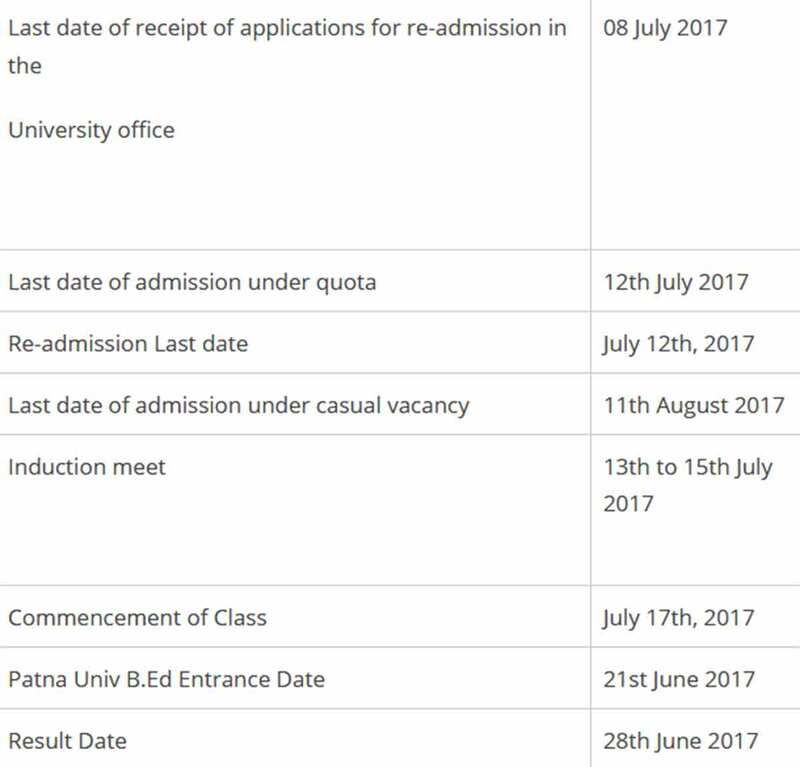 If want to Apply Patna Univ BEET, Patna University B.Ed Admission Entrance 2017 go through the below details. Aspirants must be qualified Bachelor Degree with minimum 50% marks from the recognized university. Click on the BEET 2017 Apply Link. Read all the information before apply. Fill instructed details as you have & Choose B.ed Admission. Upload the required documents with photo & Sign as instructed. You will receive application Number and ID keep safe for future use. What is application fee charges for B.ED in BEET 2017? IS it 1300 for Sc/St ??? ?